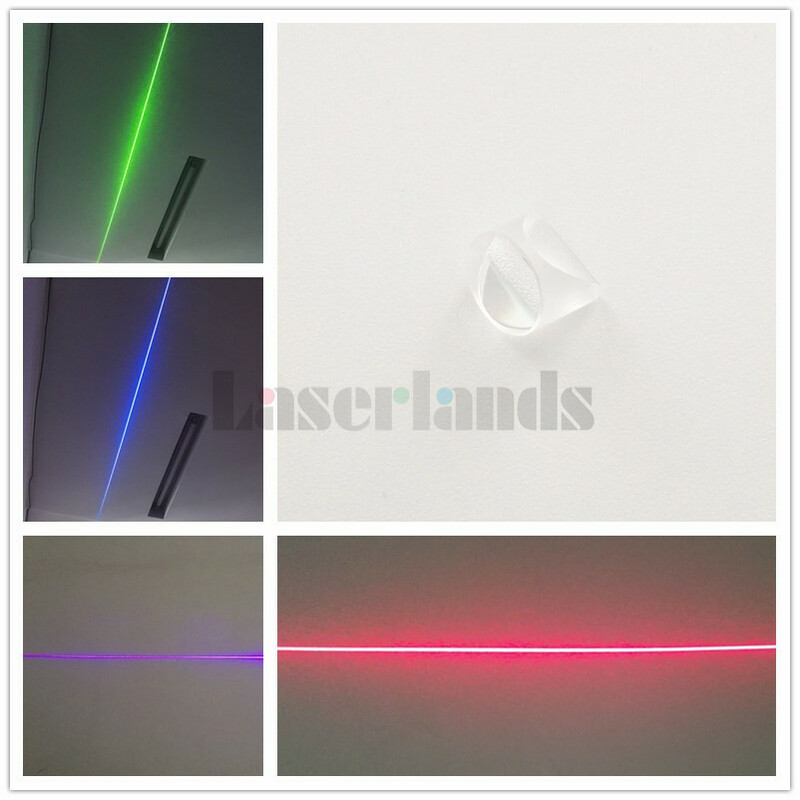 Laserland Powell lens are available in fan angles of 5°, 10°, 15°, 20°,30°, 45°, 53°, 60°, 70°,75°, 85°, 90°and 96°, 110°, 120°. The optical line generator lens is optimized for a Φ0.8mm, Φ1mm,Φ2mm,Φ3mm,Φ5mm and Φ10mm input laser beam diameter. Using this design will result in an impressive, even distribution of energy along the length of the line. These lenses offer excellent overall stability and line quality. They outperform cylindrical lens that generate Gaussian beam profiles with hot-spot center points and fading edges. Originally designed for laser line generators, they are now offered uncounted for a variety of custom applications including use in alignment, machine vision systems, construction and process control.